Cheryl is the Public Relations Director and a Licensed Loan Officer with Solano Mortgage. Joining Solano Mortgage in 2005, she brings over 25 years of lending experience to the team. She is actively involved with the Northern Solano County Association of Realtors® and was selected as the 2015 Affiliate of the Year. She also serves on the education, finance and other special events committees for NSCAR. Cheryl coordinates Solano Mortgage’s community outreach and charitable events while also providing support to the other loan officers and their clients. She was awarded the 2016 President’s Award from the Solano County Chapter of the Women’s Council of Realtors® and was selected as the Affiliate of the Year for 2013 & 2010. Cheryl currently serves as their Membership Chair. Cheryl is a graduate of Purdue University and has resided in Solano County for the past 25 years with her husband where they have raised their two beautiful daughters. 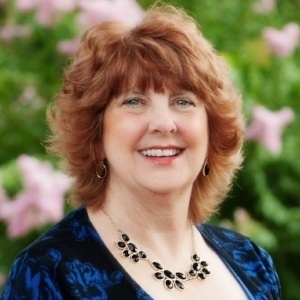 Cheryl continues to be committed to the community by volunteering for the Optimist Club of Solano County as their vice president, serves a Chief Ambassador for the Vacaville Chamber of Commerce, and is on the steering committee for 100 Women Who Care about Solano County. In her free time she enjoys tennis, wine tasting, entertaining at home, and traveling with family and friends.